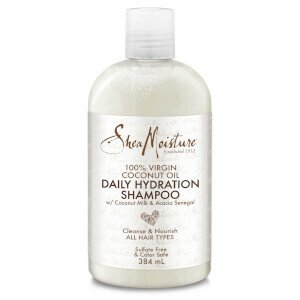 Effortlessly detangle unruly locks with Shea Moisture's Argan Oil and Almond Milk Conditioner; a weightless formula that works to restore smooth, manageable hair. 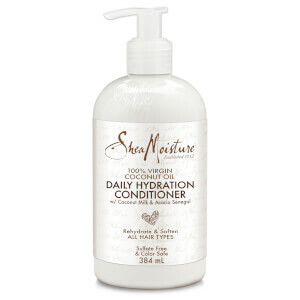 Infused with a cocktail of beneficial ingredients, including Organic Shea Butter, Argan Oil and Marshmallow Root Extract, the nourishing conditioner delivers long-lasting hydration to soften and rejuvenate hard-to-tame hair. Fights frizz and flyaways to reveal a sleek, salon-worthy finish every time. 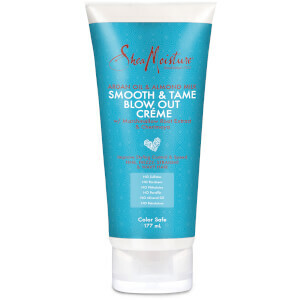 Free from parabens, phthalates, paraffin, petroleum and mineral oil. 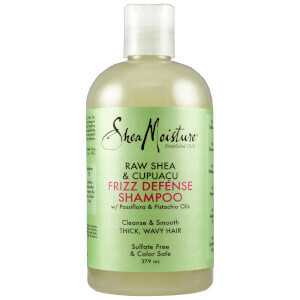 Apply to clean, wet hair and work through from roots to ends. Rinse. Water, Argania Spinosa Kernel Oil, Butyrospermum Parkii (Shea) Butter*†, Glyceryl Stearate, Cetrimonium Chloride, Glycerin (Vegetable), Cetearyl Alcohol, Stearyl Alcohol, Behentrimonium Chloride, Glyceryl Caprylate, Panthenol, Prunus Amygdalus Dulcis (Sweet Almond) Oil, Annona Cherimola Fruit Extract, Coconut Alkanes, Prunus Amygdalus Dulcis Fruit Extract, Simmondsia Chinensis (Jojoba) Seed Oil, Aloe, Barbadensis Leaf Juice, Limnanthes Alba (Meadowfoam) Seed Oil, CocoCaprylate/Caprate, Althaea Officinalis Root Extract, Zea Mays Starch, Sodium Hydroxide, Fragrance (Essential Oil Blend), Propanediol, Glyceryl Undecylenate, Isopropanol (Isopropyl). *Certified Organic Ingredient. †Fair Trade Ingredient.